We also provide Default Page Template. 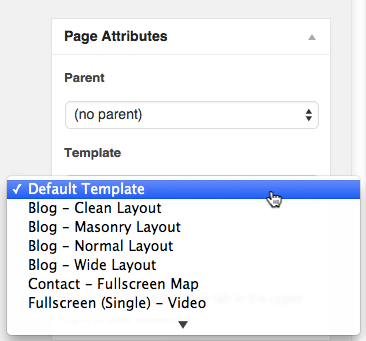 When you create a page, by default your page will use this template. WooCommerece Page If on your website you’re enable WooCommerce Plugin. You will get your Shop Page, Cart Page, My Account Page, and Checkout Page using this template by default. For more detail information, you can take a look right here.